Fairgate Farm in Stamford Raises Funds to Provide Seating for Its New Outdoor Classroom! “People of all ages are enjoying gardening, healthy activity, classes, relaxation, annual and corporate group events under the new Pellicci Pergola! 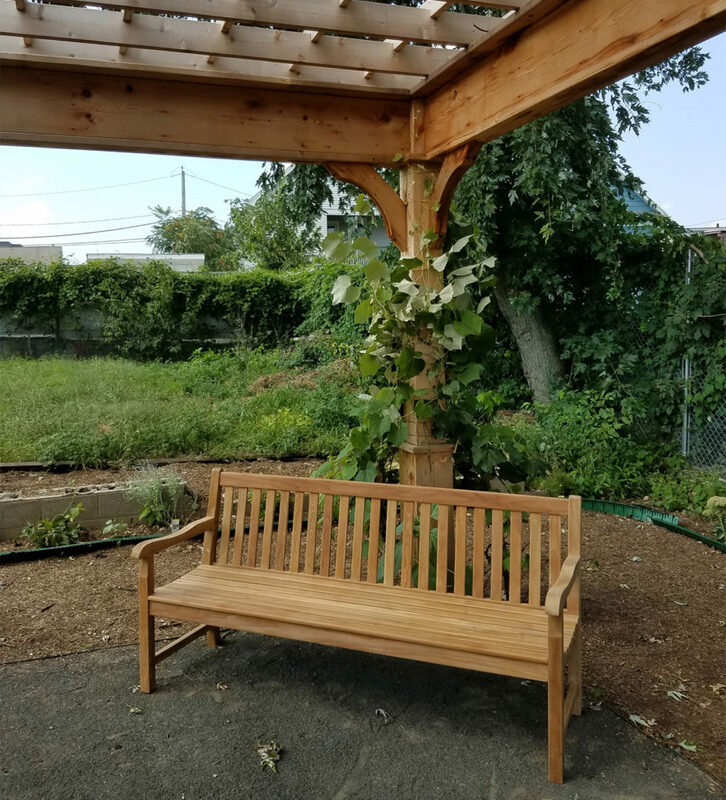 The Pellicci Pergola is in the form of a grapevine-covered arbor where volunteers and other local residents can mingle while enjoying Fairgate Farm and appreciating the rich, cultural diversity of Stamford. Providing visual appeal and shade, grape vines native to the West Side are growing up the sides and will eventually cover the pergola, making it feel much like an ‘outdoor classroom’,” Tufo continued.